The digital world of blockchain has started moving from ICOs to the concept of STOs. As with any new technology, the movement of ICOs to STOs is a natural evolution of stable cryptomarkets. The cryptocurrency bubble of 2017 has burst in the first quarter of 2018, with more than 800 cryptocurrencies being dead and deemed to be fake. Investors have lost around $3.8 billion dollars by investing in shitcoins & scams. The latter part of 2018 is expected to witness the take-off of tokenized securities. The gamble on utility coins seemingly falling apart, as Bitcoin has lost 70% of its value by mid-2018. SEC will protect ordinary investors and prevent frauds, pump & dumps, and other scams. Security Tokens will increase compliance requirements, such as disclosures and filings, and help meet expectations of token-buyers. The legal precedents of traditional securities will apply to security tokens and subsequently protect token buyers’ rights and expectations. Many tokens or coins, including BTC & ETH, do not have any widespread utility in the business ecosystem. However, in many projects, the coins are like shares in an IPO. These are called Security Token and released with Security Token Offering (STOs). A security token is backed by tangible assets, such as profits, revenue, or any other collateral. The positioning of STOs is that it is not a utility token, but a security token. The cost of Security Tokens, abiding by regulatory compliance and regulatory frameworks, is cost-effective and more efficient with reduced interference from regulatory authorities, such as the SEC. The question that arises when any ICO has been launched and the coin or token has been purchased is ‘Where do I exchange it?’. The secondary trading and liquidity are reduced, as securities are subjected to restrictions and cannot be traded with ease like Utility coins. Exchanges, like OpenFinance Network, offer an all-in-one service alternative asset trading platform. They are open source with trading, clearing, and settlement services. In addition, the liquidity and asset transfer efficiencies are streamlined with the fully compliant trading of privatized security tokens. The merging of traditional financial markets with the crypto-market will contribute to the betterment of the investment market on the whole. The storm of peaking and subsequent drop of the crypto-market in late 2017 and early 2018 have washed away the blockchain landscape. When the storm had cleared, there were only a few projects with real repute and true value. The real use case and ability to denominate value turned Security token into a hybrid model with blockchain and it’s accompanying benefits. There are uncertainties on what cryptocurrencies qualify as a security token. There is nothing preventing a security token from having a use value(utility value). A Security Token has better legal clarity and protection for the company and investors, however, there are strict regulations and limitations. Secondary Trading of tokens will be established through Security Token Trading Platforms. A Security Trading Platform will automatically increase liquidity, being beneficial for the investors. These tokens can be traded in your exchange with our Alternative Trading System for the Security Tokens. Blockchain App Factory, a security token service company, is at the forefront of this innovation and a Trillion dollar industry begins with us. Our development team has created security tokens on our own blockchain thereby, eliminating the limitations of gas prices and changes in protocols and regulations of Ethereum Platform. In addition, we have developed an Alternative Trading System(ATS) for the exchange of these security tokens. 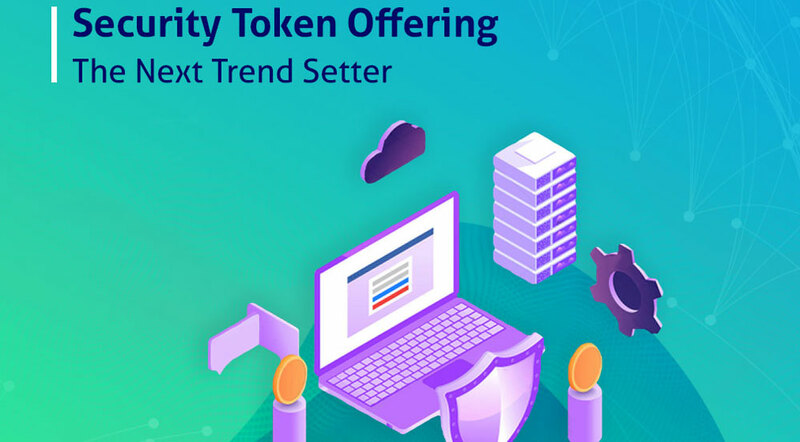 We are pioneers in the development of Security Token, Equity Token, Asset Tokens and an exchange that will allow the users to trade the tokens with ease.